Monster X is back and for his debut on Fire Hammer Records he returns to his electro and techno stylings, causing dancefloor crushing mayhem. 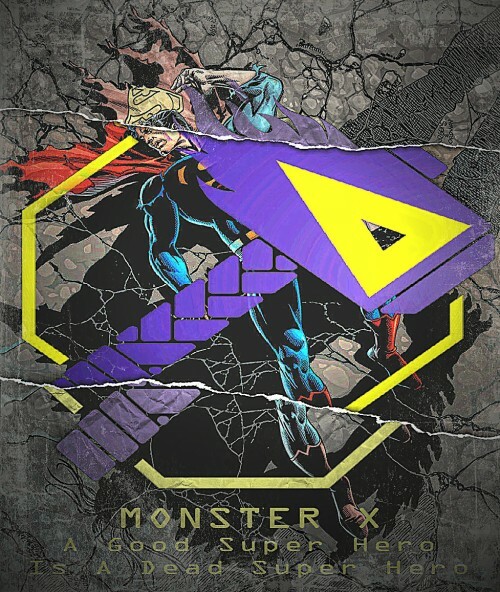 His original track of the EP, A Good Superhero is a Dead Superhero, has the aesthetic of a late 80’s electro banger but with that Monster X lilt that adds modern production, extra wonk, twisted basses and glitched out percussion, all serving to breathe life into the established and classic sound of that era. The second track is the Monster’s remix of Fyerhammer‘s Monica’s Thursday Jam (the original can be found HERE). This remix takes Fyerhammers original acid tinged techno and turns it into a wall of sonic power with more girth than a Giant Redwood. It builds and builds and gets heavier and heavier until it pins you against the wall like the victim you are. You can listen to the release below and buy it direct from Bandcamp at Name Your Own Price. As always with the Fire Hammer releases, all proceeds go straight to Rethink Mental Illness.